Joseph told Pharaoh that his family had come to live in Goshen because of the famine. Joseph sold grain to the Egyptians and Canaanites for Pharaoh. Jacob and all of his wives, his other eleven sons and their wives and their children, along with their flocks, herds and all that they owned left Canaan to dwell in Egypt and were now in Goshen. Joseph announced their arrival to Pharaoh. Which of his five brothers were chosen is not evident from this verse. Although some commentators assume that the five were the five oldest brothers because of seniority, the text does not specify his five oldest brothers. Although we are not sure which brothers were selected, the number five is a significant number in Scripture. The number 5 symbolizes God's grace, goodness and favor toward humans and is mentioned 318 times in Scripture. The 5th letter of the Hebrew alephbet is the letter “Hey” – h. By God’s grace, Abram (meaning “Exalted Father”), had his named changed to Abraham (meaning the “Father of Many Nations”) when God inserted the Hebrew letter hey into his name. The “Tabernacle in the Wilderness” profoundly reflects God's grace in its use of the number 5. This tabernacle, whose design was given directly by God, contained five curtains (Exodus 26:3), five bars (Exodus 26:26 - 27), five pillars and five sockets (Exodus 26:37) and an altar made of wood that was five cubits long and five cubits wide (Exodus 27:1). The height of the court within the tabernacle was five cubits (Exodus 27:18). Joseph, who was seeking Pharaoh’s gracious favor, selected five of his brothers to present before the Egyptian monarch. Since shepherds were detestable to the Egyptians, Joseph wanted Pharaoh to understand that his family’s occupation had been their livelihood for several generations. Therefore, it would be wise to have his family settle in a good location but somewhat separated from where the native Egyptians lived. Joseph’s brothers made it clear to Pharaoh that they planned to reside in Egypt only for a while. They understood that since the land of Canaan would eventually be their possession according to God’s promises to Abraham, Isaac and Jacob, they would seek to return to the Promised Land after the famine was over. Their purpose coming to Egypt was not to purchase grain as they had done in the past. Since the drought was especially severe in the land of Canaan they needed to find pasture for their flocks. The land of Goshen was an irrigated plain which is still considered to include some of the best land in Egypt. Goshen was located in an area in the eastern Nile Delta that was known for its pasturelands. The "delta" region is where the Nile River flows into the Mediterranean Sea. The story of Joseph continues to foreshadow the coming Messiah, who was despised and persecuted, but then resurrected to a position of power and authority. Joseph, who was enslaved and imprisoned, went on ahead of his brothers to Egypt and was exalted to a position of power and authority. Jesus promised to prepare a glorious eternal dwelling place for His family. Joseph, who had much favor with Pharaoh, was able to secure the best part of the land of Egypt for his family. In fact the land of Goshen was so suited for raising livestock that the Pharaoh wanted his own livestock to graze in the land of Goshen under the care of Joseph’s brothers. After Joseph had introduced his five brothers to Pharaoh, and had secured Goshen as the dwelling place for his family, Joseph then brought in his father before the king. Jacob probably blessed Pharaoh by praying for the ruler’s welfare and thanking Pharaoh for his kindness to himself and his family. Jacob did not offer a blessing to the Pharaoh as a formality or courtesy but Jacob was a prophet and patriarch, a man divinely inspired of God, who prayed for the Pharaoh in the name of the LORD. Jacob, who was 130 years old, was not only speaking of his grandfather Abraham who died at 175 years of age and his father Isaac who died at 180 years of age, but of the pre-diluvian patriarchs. These ten men, from Adam to Noah listed in Genesis 5:1-32, lived before the worldwide flood of Noah’s day. The ten patriarchs (excluding Enoch who was taken up by God at the age of 365) lived an average of 912 years. 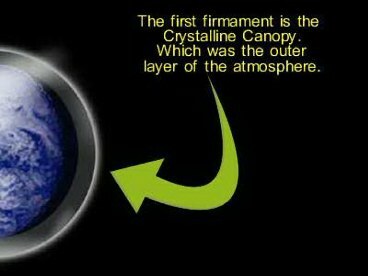 According to creation scientists Carl Baugh and Walter Brown, when God created a firmament around the earth it was a protective canopy which provided a greenhouse effect as well as protection from ultraviolet and other harmful light rays from the sun. In their view, the canopy was a clear solid crystalline hydrogen/water composite. It was located approximately 11 miles above the earth where the temperatures would be around minus 130 to 180 Fahrenheit. It was held up by a much stronger magnetic field than the earth currently has and resulted in a higher percentage of atmospheric oxygen. On the same day that all the fountains of the great deep broke forth, the windows of heaven were opened. An internal meltdown of the earth happened. Psalm 46 verse 6 describes God initiating this sad moment in history. It says “The heathen raged, the kingdoms were moved: he uttered his voice, the earth melted.” From this moment on a chain reaction of events are unfolding. First began the tremendous pressure and heat buildup within the earth. As the pressure increased extensive ripping apart of the earth's crust occurs. Superheated water within the earth is blown up on the surface. Extensive volcanism takes place with enormous amounts of gas, rocks and dust blown into the atmosphere. The volcanoes are so big that large holes are blown through the solid canopy. As the frozen, crystalline firmament shatters, the floodgates of heaven are opened. This and the rapid deterioration of the magnetic field cause the canopy to collapse and rain down for forty days and nights. In addition tremendous amounts of molten material pour out onto the surface. In Dr. Baugh’s model of the firmament called The Crystalline Canopy Theory, the crystalline canopy could protect earth and its inhabitants from the sun’s harmful rays and help re-energize the electromagnetic field around the earth which positively affects cellular metabolism. Other benefits of the solid firmament would be increased atmospheric pressure which would result in a greater percentage of oxygen in the atmosphere prior to Noah’s flood, and promote a gentle warming of the earth. The protection from harmful radiation, a re-energized magnetic field and increased oxygen in the atmosphere would explain the incredibly long life-spans of the pre-diluvian patriarchs. According to Genesis, Adam and Eve had sons, and 1 Corinthians 15:22 teaches that all of us descended from Adam. But if they only had sons, then where did their children find the wives necessary to continue the human race? Three lines of evidence point to a good answer to this common yet perplexing question. The first line of evidence comes from Genesis 5:4, which states, “After he begot Seth, the days of Adam were eight hundred years; and he had sons and daughters.” Adam’s sons apparently found wives among his daughters. While today that would be creepy and illegal, following the lines of evidence reveals that it was healthy and normal back then. Genesis 11 contains the second line of evidence. 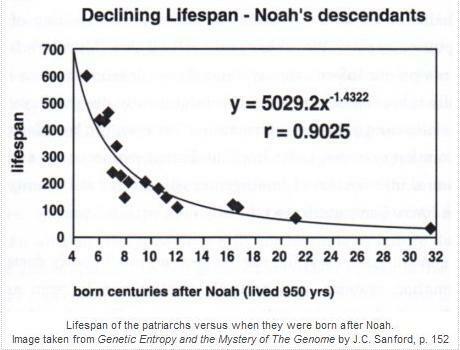 From Noah to Abram, the numbers reveal an overall steep trend of diminishing lifespans. What caused this pattern? Mutations, which are like copying errors in the genetic instructions for building and maintaining living things, are probably at fault. When the data are plotted on a graph, a slope emerges that resembles many similar curves showing the negative effects of genetic mutation over many generations. These mutations damage instructions in the DNA, slowing down or disrupting important processes that happen inside cells and thus reducing an animal’s lifespan. This points to a key biological reason why Cain and Seth could have married their sisters. The first generations of people had very few mutations. Even long after the Flood, marriage between close relatives was common. Abram married his half-sister Sarah, for example. God did not declare marriage between close relatives off-limits until He gave the Law to Moses long after Abraham. Today, when we take husbands or wives who are not close relatives, we decrease the chances that our many stored mutations will show up as diseases or shortened lifespans in our children. Jacob’s claim that his years were not only few but difficult was true. He had fled from Esau who vowed to kill him. Jacob was deceived and taken advantage by his uncle Laban for twenty years. At Shechem his daughter Dinah was ravished. His sons Simeon and Levi sought revenge by slaughtering the Shechemites and Jacob had to flee for his life again. At Ephrath he had to bury his beloved Rachel. At Hebron his sons brought him Joseph’s ornamented coat covered in blood and Jacob believed Joseph had been devoured by a wild animal. At long last, Jacob and his family were reunited and had provision to sustain them. The LORD was with Joseph and had given him wisdom and revelation in preparation for the seven years of famine that followed the seven years of abundance. During the time of abundance, grain was plentiful, was purchased cheaply and was stored in preparation for the lean years to come. Now that the drought had parched the lands of Egypt and Canaan and their crops failed, the people in the region had spent all their money to pay for the grain they bought and Pharaoh’s wealth increased. It may seem harsh that Joseph was selling the grain to the people instead of just giving it away. But remember, the grain did not belong to Joseph. It belonged to Pharaoh. Any of the Egyptians could have stored up their own grain supply during the seven years when there was plenty of food, but they didn’t. Joseph’s plan to sell them grain kept them alive and they were very grateful. Joseph offered to supply the Egyptians with enough grain to survive for another year in exchange for their livestock. Their livestock produced the products that were in demand such as milk, eggs, meat, fur and skins. Horses and donkeys provided transportation and were work animals. Without their livestock, the people became less able to care for themselves and more dependent upon the government’s provision. In desperation, the people willingly not only offered to sell their land to Pharaoh but to become his bondservants. The priests were not only able to keep their land but their freedom as well. Although the people became bondservants, the priests remained in a privileged position because of their unique relationship with Pharaoh. Joseph said to the people, “Now that I have bought you and your land today for Pharaoh, here is seed for you so you can plant the ground. But when the crop comes in, give a fifth of it to Pharaoh. The other four-fifths you may keep as seed for the fields and as food for yourselves and your households and your children. The people were supplied with enough food to survive through the last year of the famine. Joseph reminded them that he had purchased them and their land for Pharaoh. Joseph was now going to give them seed and they were to sow the land with it. When the harvest time came they were to give twenty percent back to Pharaoh as a tax. Joseph put the citizens back to work with the expectation of a return from the land that now belonged to Pharaoh. All control of every aspect of the people's economic lives of Egypt had now been consolidated under the power of Pharaoh. Egypt is a type of the world system and Pharaoh is a type of the Antichrist who will control the world economy. The pagan priests of Egypt ministered in a land of idolatry. Pharaoh supported and provided for the priests. Pharaoh was the head of the government, the commander of the armies of Egypt and considered the chief deity as the incarnation of the Sun god. The relationship between the priesthood and Pharaoh foreshadows the connection between the religious system known as “The Whore of Babylon” and the Antichrist who is a political and military leader referred to as “The Beast." Idolatry is an abomination in the sight of God and is called spiritual adultery or harlotry in the Bible. 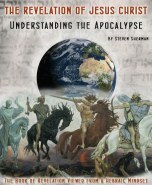 The coming worldwide religious system of the “Great Tribulation” is known as the “Whore of Babylon.” The religious system that originated during the time of the Tower of Babel (the Babylonian Mystery Religion) has been the religious system supported by the historic empires of the world. It is the worship of the sun and the moon. It will be the final world religion and supported by the Antichrist. The children of Israel were blessed with prosperity and fruitful wombs. They had told Pharaoh that they only came down to Egypt for a while because of the severity of the famine. Although the famine was over, they settled in Egypt instead of returning to the Promised Land. Jacob had lived seventy-seven years in Canaan with Isaac and Rebekah, twenty years in Padan Aram with his uncle Laban, thirty-three years back in Canaan, and seventeen in Egypt, in all 147 years. He did not want his remains to be interred in a land of idolatry but in the land of promise where Abraham and Isaac were laid to rest. His request was a demonstration of faith. Although his sons had settled in Goshen, Jacob believed that one day they would return to Canaan and dwell in the Promised Land.